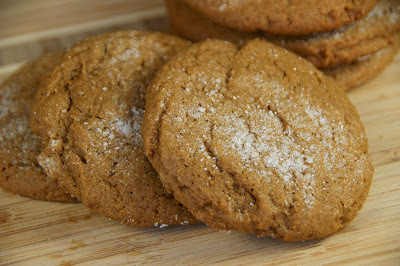 To welcome our new seasonal cookie recipe, we are baking complimentary Soft Gingerbread Cookies. Spicy and rich with a chewy texture—Breadsmith Soft Gingerbread Cookies are made with brown sugar, molasses, cinnamon and ginger. They are something special! Today we're baking 200 at each of our three bakery locations to gift to you, our customers. First come, first serve. No purchase necessary! They are going fast, so stop in during lunch! These seasonal cookies are only available for a limited time, so be sure to enjoy them while they are available. Thank you for being a customer. We appreciate your loyalty.